As I contemplated what areas of our lives to fill you in on, I thought to myself, “There’s nothing really new going on.” But then with a family of five little ones, there are constantly new things on all sides. Some exciting and others not so great. The children are always in the process of mastering something new, with jumping rope ranking as the latest “go.” Our evenings are spent cheering, instructing and twirling jump ropes. At 7, Julia is outstanding. It’s not uncommon for her to come home from school with a, “Mom look!” as she twirls her jump rope, showing me her latest achievements. She can far outdo me as she swiftly jumps through her rope, then, giving it a quick twist, she jumps with her arms crossed. I had no idea I was so much out of shape until I tried to catch up with her. Last night she helped me count while I jumped 173 times. By the time I finished, I collapsed on the couch and drank a glass of water to get me hydrated again. “Julia, you’re gonna get me back into shape by having me jump with you each night!” I told our beaming first-grader with two front teeth missing! Austin tries to keep up his end and is mastering basic jump roping and is completely impressed when he can jump while I twirl the rope with the other end tied to the refrigerator door. Ya, we discovered it to be basically impossible for both Daniel and me to be twirling at once with the three little ones who are always trying to be in the middle of the hub of excitement. Rayni is learning the art of swinging the rope over her head and trying to step over it. Jesse is absolutely hilarious; after watching us jump while someone else twirls the rope, he’ll try to do the same, jumping up and down beside the rope. Of course we’ll praise him, and he thinks he’s the biggest boy around! Perhaps his very favorite is having Daddy hold him while one of us twirls the rope. His giggles and Daddy’s confident yet careful jumps are enough to have all of us laughing and cheering. To me, there is nothing more special than watching Daniel and Julia jump together as Daniel holds the rope and swings it with Julia facing him, standing directly in front of him. People tell us how we need to enjoy these stages with our children being so young. We love it, yet Daniel ever optimistically almost can’t wait to watch them grow up and keeps reminding Julia how fun it is to see her growing up so fast. Many times I just step back in awe; it’s just like I tell the children, “I am so happy to have my husband, Daniel, for their daddy.” Whether it’s having Julia read her latest words that she learned at school to him or having her teach him all the latest jump rope tricks, he’s right there to join her and pursue her interests as a team. Since Julia started first grade last fall, I miss seeing as much of her, though I’m constantly blessed to see her so rapidly learning so many basic tools in reading, writing, memorizing, etc., as well as basic things that keep relationships intact even away from the security of the four walls of home. My times with Julia just seem extra special. This afternoon, she and I want to try something new. We’re going to experiment with making trail mix bars, which are always a treat for us, then spreading a layer of our healthy chocolate over it and see how we’ll like it for a change. Combine cereal, raisins, M&Ms and sunflower seeds in a bowl. Combine honey and sugar in a medium saucepan. Heat until sugar is dissolved, then add peanut butter and vanilla. Continue to heat until peanut butter is melted. Pour over cereal and mix well. Press mixture into a 9-inch by 9-inch pan. When cool, cut into squares. Note: I usually use quick oats instead of Crispix, only using 2 1/2 cups instead of 3. Also, I prefer omitting the sugar and sprinkling in some Stevia instead. Melt all together over medium heat until melted. If desired, spread on top of trail mix bars and refrigerate. This chocolate is our favorite ice cream topping. If you drizzle it directly over the ice cream, it will harden, or if you like it “Daniel style,” try just making a little pool of warm chocolate next to your ice cream and enjoy the two together! Gloria is Amish and lives in a rural horse and buggy settlement in Illinois. Readers with questions or comments can write to Gloria at P.O. Box 157, Middletown, OH 45042. Viewpoints expressed in the article are the work of the author. The Daily Advocate does not endorse these viewpoints or the independent activities of the author. 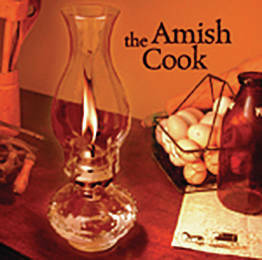 This entry was tagged Amish Cook, Column, food, Opinion, Recipe. Bookmark the permalink.